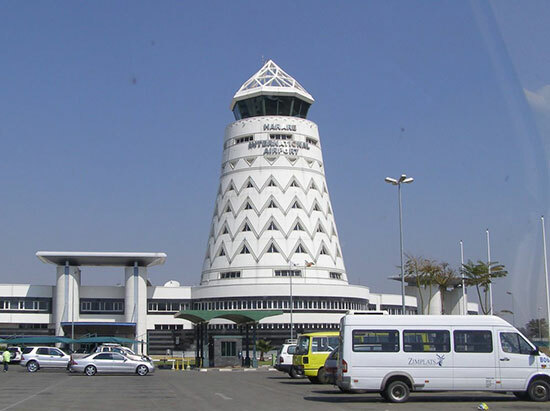 International airports in both Harare and Victoria Falls facilitate this influx and as the economy and stability of Zimbabwe improves more and more international and regional airlines are choosing to fly in directly. The road network is good but some of the the border posts like Beitbridge and Chirundu are horrendous causing long delays. As and when new electronic systems are installed let's hope that things will improve. Once you have managed to find out How to get to Zimbabwe then read our page on How to get around Zimbabwe which will help you with all the internal networks. Johannesburg in South Africa is the most common hub to connect from and there are direct daily flights from Johannesburg to Harare and Victoria Falls. The train infrastructure within Zimbabwe is not great and is only for the seasoned or adventurous traveller. However, the luxurious Rovos Rail which travels from Pretoria to Victoria Falls is one we highly recommend, if you can afford it. A longer, more affordable trip is the Shongololo Express, also between Pretoria and Victoria Falls. There are luxury coaches from Johannesburg that connect to both Bulawayo and Harare. Although these buses are reasonably good they are often crowded and they enter Zimbabwe through Beitbridge which is a notoriously bad border post and delays of 6 hours are common. This is a cheaper option than flying but takes a long time and is very testing on your nerves. There are also coaches from Namibia which take you to the Victoria Falls Bridge border. Self-drive is a good option and the internal roads in Zimbabwe are all good. From South Africa the obvious entry point is Beitbridge, which is a terrible border post and I recommend avoiding this by transiting through Botswana and entering through either the Plumtree, Pandamatenga or Kazungula border posts. From Zambia there are 3 border posts, Livingstone, Kariba and Chirundu. From Mozambique in the east there is the Forbes border post in Mutare and Nyamapanda.